There has been a lot said in the media recently of how easy it can be to break into a lot of Double Glazed Doors. It is true a high number of Burglars enter a property using the method of snapping the lock cylinder. 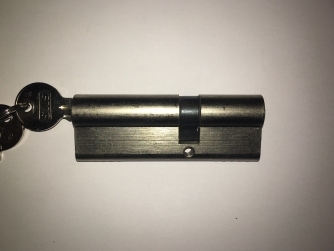 Unless you have a fairly new door therefore already have an anti snap cylinder the chances are your lock cylinder can be snapped gaining entry the inside of the lock which can then be very easily opened. The older cylinders can be broken because where the fixing screw enters the lock cylinder it creates a weak spot and at this point the cylinder can easily be broken with an easily learnt technique. This point on the lock cylinder can be seen in the left hand image below. In the right hand image is a modern anti snap cylinder where a weak point has been built into to it. If it was attacked the cylinder would snap but leave the door secure. 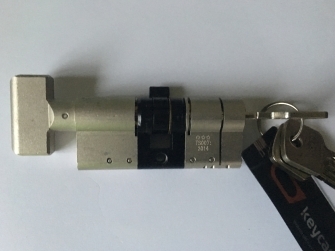 If you would like your doors upgraded to have Anti snap cylinders then please ring GBM or you can purchase anti snap cylinders on our online shop. for Maximum security we reccomend the 3 Star Cylinders. The 3 Star Cylinders also meet the very high standards of Secured by Design, Sold Secure Diamond and British Standards 3 stars which is the highest. We also sell and supply and fit Ultion cylinders which are top of the range locks, please contact us for a quotation. Below is a link to Ultions web site which will explain in detail the quality and benefits of of there locks and also why its worth investing in these lock cylinders. All cylinders come in different lengths as shown above. The image shown above on the left is a typical standard cylinder without the anti snap feature. The cylinder on the right has the anti snap feature.